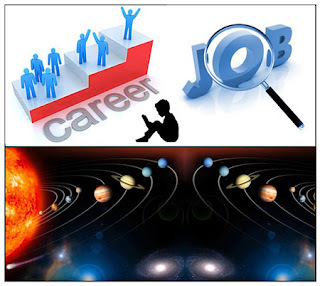 Engineering: A person become engineer if Mars, Shani, Mercury or Rahu-Ketu any two planets impact. Mars and Mercury give mathematics knowledge. Therefore, they should be strengthening. Usually, Aries, Gemini, Leo, Virgo, Libra, Sagittarius and Capricorn people easily become engineer. You should chant Shani psalm. Also visit hanuman temple. Medical: A person becomes doctor if there is impact of Moon, Venus, Sun or Mars. A person becomes surgeon if Mars is strong. A person becomes physician if Mercury is strong. A person becomes radiologist or dentist if Shani is strong. Usually, Aries, Leo, Sagittarius, Cancer, Scorpio and Capricorn people becomes surgeon. Regularly offer water to Sun in morning. Also, keep fast on full moon day. Corporate: A person gets good success in corporate field if Mercury or Jupiter is strong. However, any one planet should be strong. Otherwise, a person chooses other field. A person gets good success in business and business field if Mercury is strong. Jupiter gives good success in bank, law and speech. Taurus, Gemini, Virgo, Libra and Pisces people gets good success in corporate field. Use green color to get good success in this field. Also, worship lord Ganesha. Administrate: Sun, Moon and Mars are administrative planets. Any one strong planet gives good career in administrative field. A person becomes police office if fire element is strong. A person becomes collector, diplomat or secretary if Mercury or Jupiter is strong. Taurus, Cancer, Leo, Scorpio, Sagittarius and Capricorn get good success in administrative field. Regularly offer water to Sun to get good success. Wear gold and chant Gayatri psalm. Good Luck: Offering Durva to lord Ganesha finishes your worship. However, never offer basil leaf.